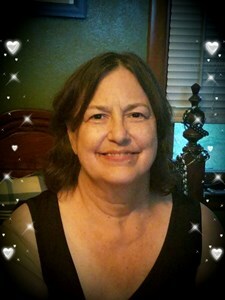 Victoria Lynn Warner, age 67, of O Fallon, Missouri passed away on Friday, April 5, 2019 . She was born in Saint Louis, Missouri on October 4, 1951 to John and Viola Dunard (nee: Sommer). Victoria was a Homemaker and a loving Mother and Wife. Victoria is survived by her Mother Viola Dunard, Husband, Charles Andrew Warner, Daughter, Kimberly Sue Warner and Sons, John Charles (Megan) Warner, Daniel Lawrence (Britt) Warner, Step-Son, Christen Warner, Sister, Diane Ligue (Dunard), and Brothers, David Dunard, and Steven Dunard, Grandsons, Jackson Warner, Jacob Burton, Noah Warner, Jameson Warner, and Daniel Warner. She will Be greatly missed by many other family members and friends. She was preceded in death by her Father, John Dunard and Sister, Suzanne Dunard. Visitation will be held Tuesday, April 9, 2019 from 4:00 pm until 8:00 pm at Newcomer, Cremations, Funerals & Receptions, 837 Mid Rivers Mall Drive, Saint Peters, MO 63376. To share a memory of Victoria or leave a special message for her family, please click the Share Memories button above. Add your memories to the guest book of Victoria Warner. I worked with Vickie for many years at Wal-Mart. She was a special lady,I enjoyed working with her. My deepest condolences to Vickie's family. Kim, I was so shocked to see this. I remember when your mom and I took you girls to Westminster that first semester. Vicki and I spent the night with you two and sat up all night talking and laughing. She had the best laugh. My heart goes out to you and this huge loss. All her grandchildren are going to miss the greatest grandma ever. Love to you and Jacob. When someone we love falls asleep in death the memories we have of them become our treasure,and the memory of them also becomes Gods. May God's promise at John 6:40 bring you inner peace and comfort. I can't put into words how much I miss you. I think subconsciously I thought you'd live forever. You had so much to live for, but I suppose God had other plans. I imagine you're up in heaven with Grandpa and Suzie, so I'm glad you have company. Right now it feels like it won't ever stop hurting, but we'll be ok. We love you so much and we weren't ready to let you go. I don't know what else to say. I love you mom. You're my best friend. I'll miss you to the end of my days.